We will select 30 manuscripts that will be eligible to meet this agenda. We will also have a Training on Reference Management using EndNote X9 and Mendeley; and Writing Your Literature Review Using NVivo 11 / NVivo 12. 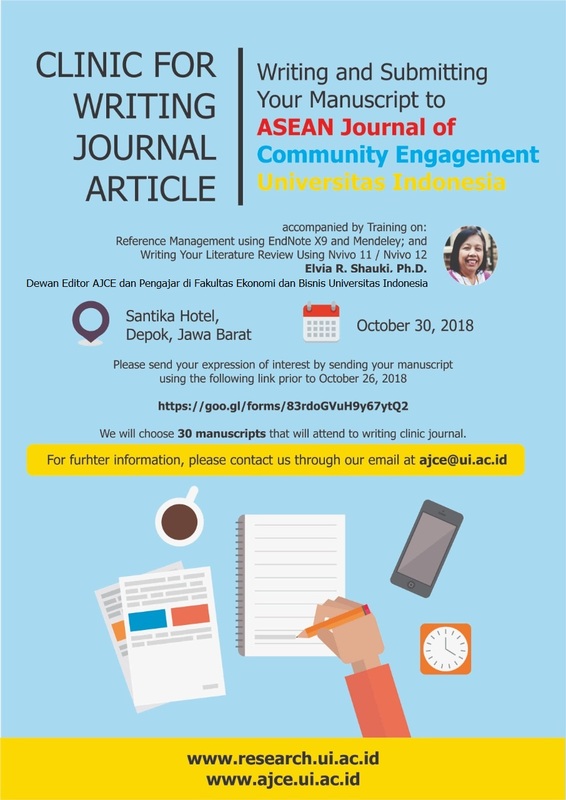 For further information, please contact us through our email at ajce@ui.ac.id.